​At Eastside, we offer boarding for both cats and dogs. 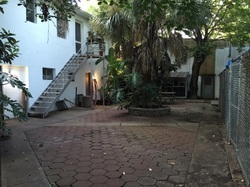 Our facilities include a courtyard with runs where dogs stay during the day, weather permitting. When we are out of the office, dogs stay in a climate controlled kennel building. Boarders are required to be up to date on all vaccinations. We also do not accept unneutered male dogs.